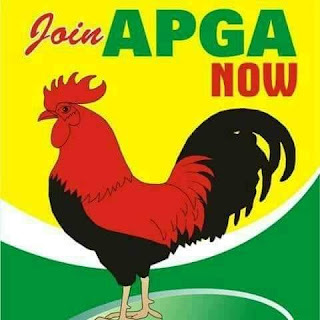 Members of the All Progressives Grand Alliance, APGA in have been implored to intensify grassroots sensitisation and mobilisation of the electorate to vote massively for the party's candidates in the forthcoming general elections in the country. The Director General of the Prince Chinedu Emeka Anambra North Senatorial District Campaign Organisation, Mr. Emeka Asoanya, made this clarion call during a meeting of APGA stakehoders in the District at the GRA, Onitsha. Mr. Asoanya explained that with the numerous and verifiable achievements of the Obiano administrations in less than five years, APGA and its candidates are easy to market to the electorate in Anambra state and beyond. He stressed the need for cordiality and synergy among the various pressure groups within the party and its hierarchy in order to achieve maximum results for another landslide victory for APGA, especially in Anambra state in the coming general polls. Mr. Asoanya also advised members of the party to imbibe the virtues of patience in order to fully benefit from what he called; "inherent largesse embedded in partisan politics and government". Other APGA stalwarts who spoke at the Anambra North Senatorial District stakeholders parley were the transition chairmen of Onitsha North and Anambra West local government areas, Messrs Patrick Agha Mba and Sylvester Okafor including the Senior Special Assistant to the Governor on Grassroots Media Mobilisation, Hon. Egbuna Amuta, among others.